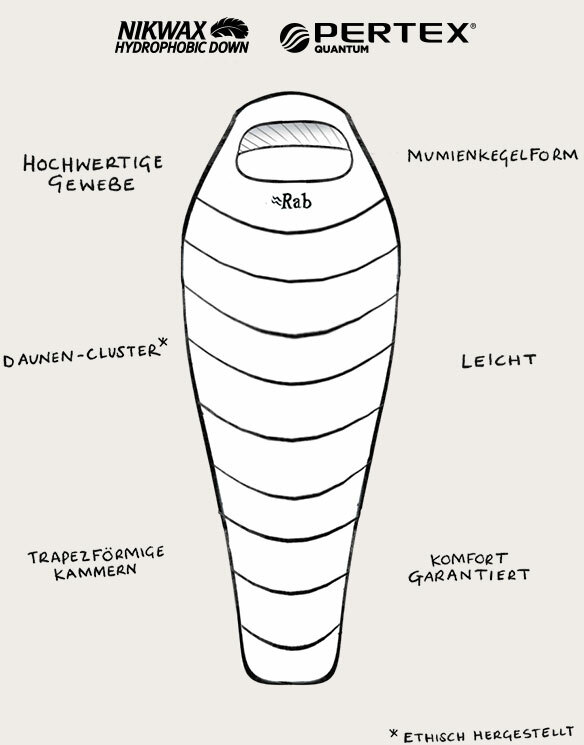 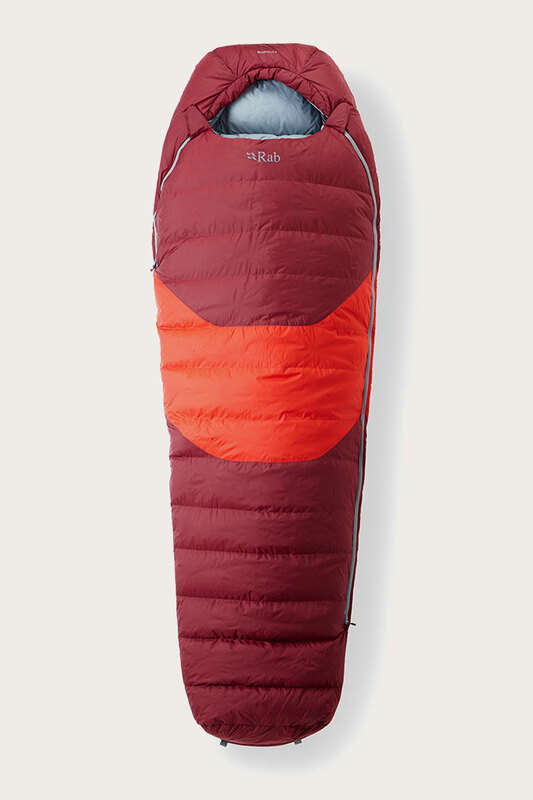 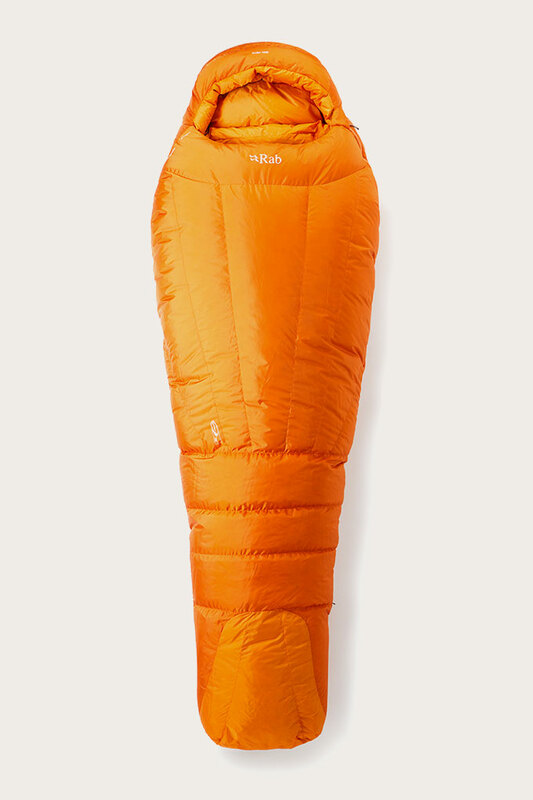 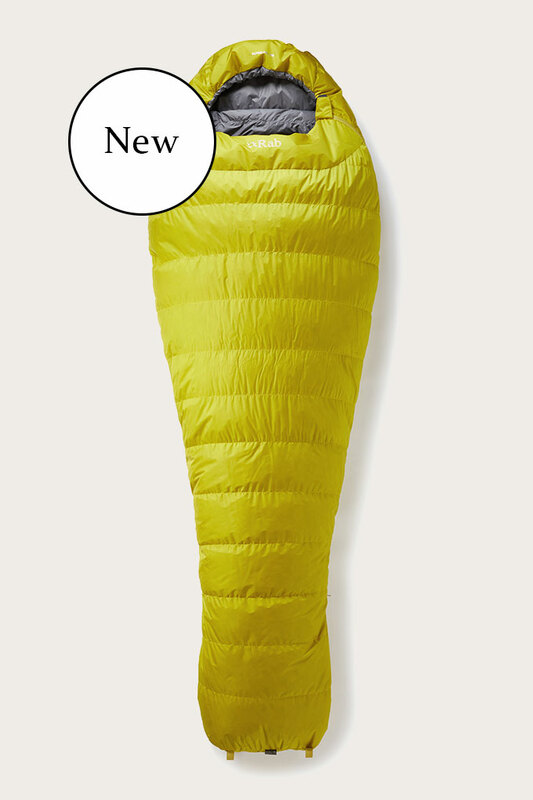 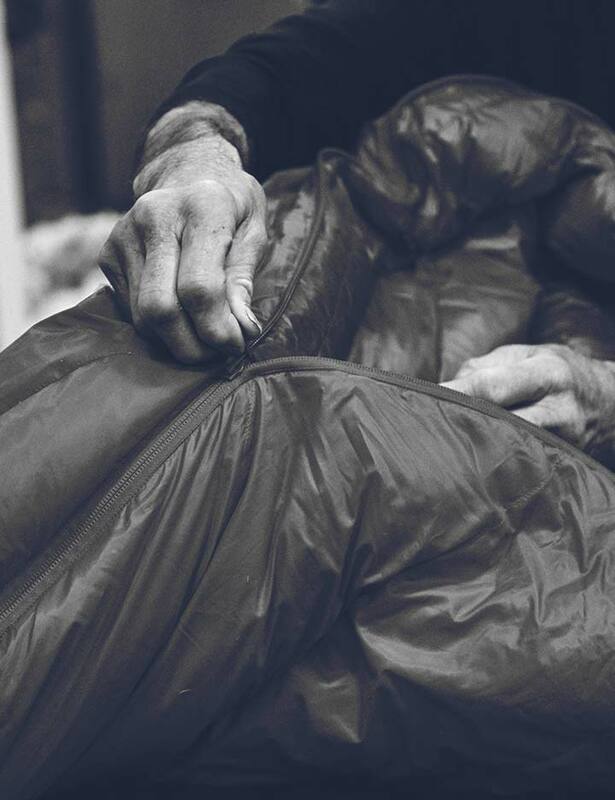 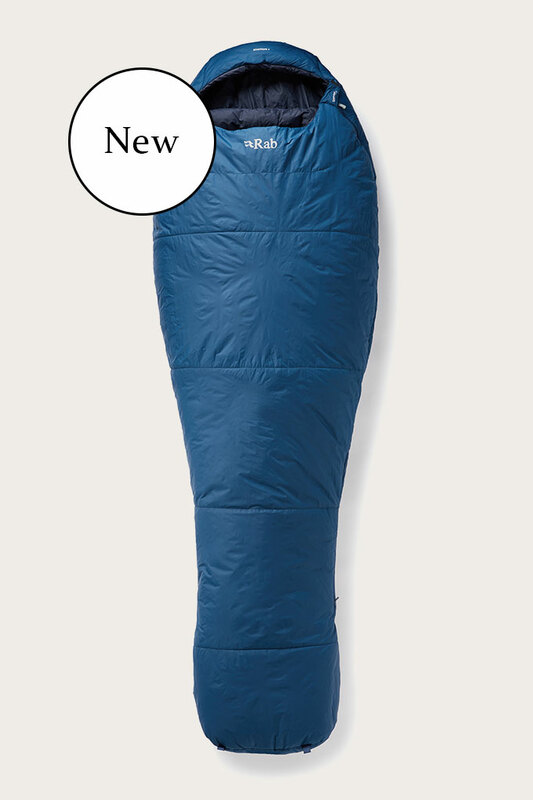 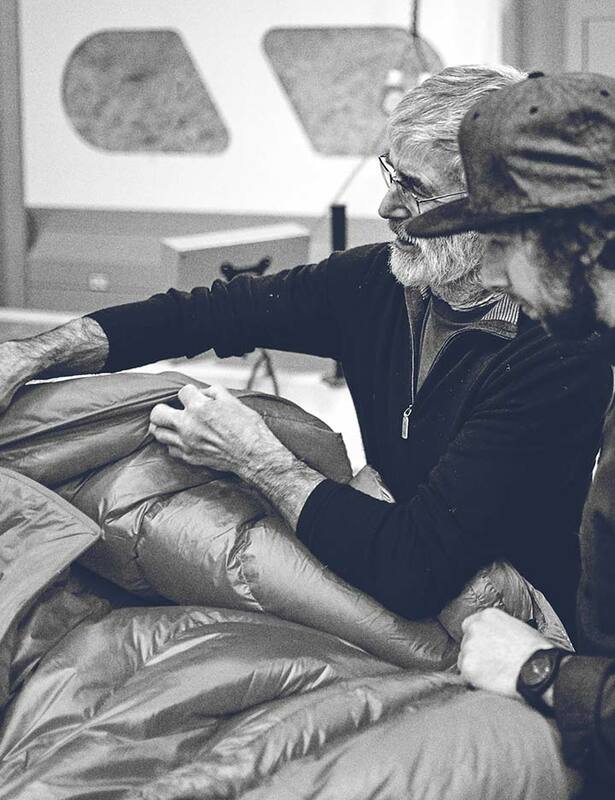 The Neutrino range comprises lightweight, minimalist down-filled sleeping bags. 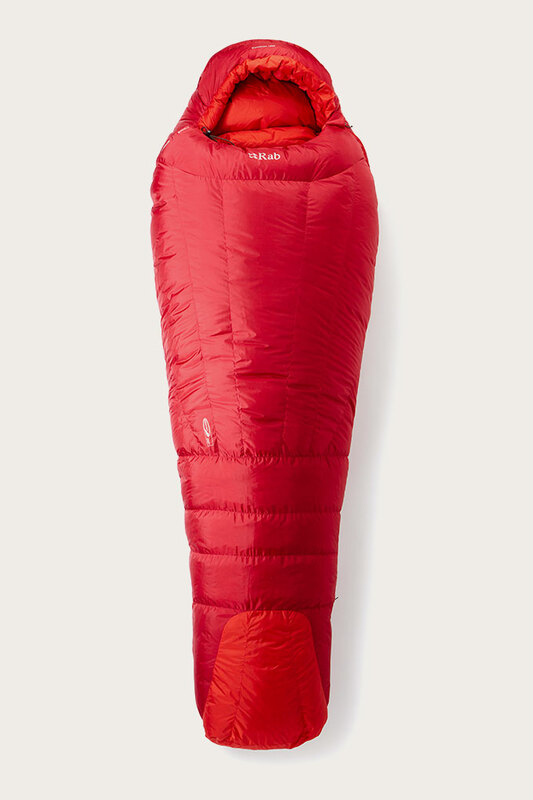 Refined to maximum warmth without increasing weight, the updated design has chevron shaped baffles to ensure the down is held over the centre of the body and prevents down migration, while the trapezoidal chambers eliminate cold spots. 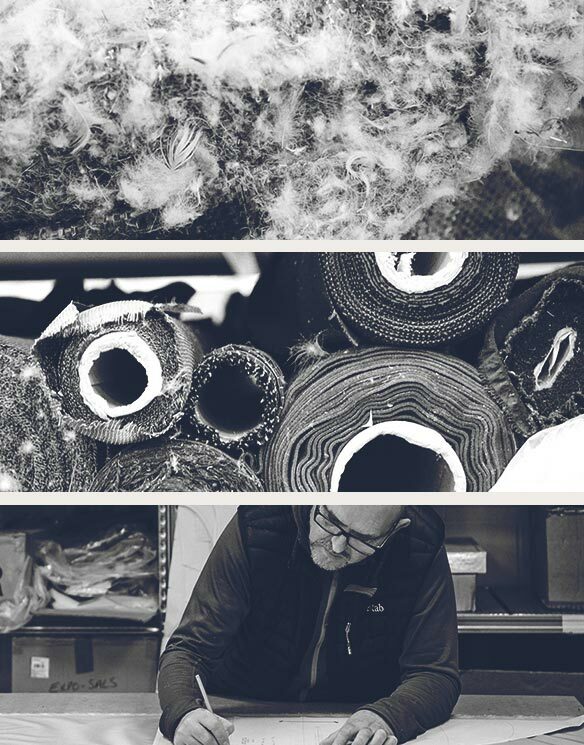 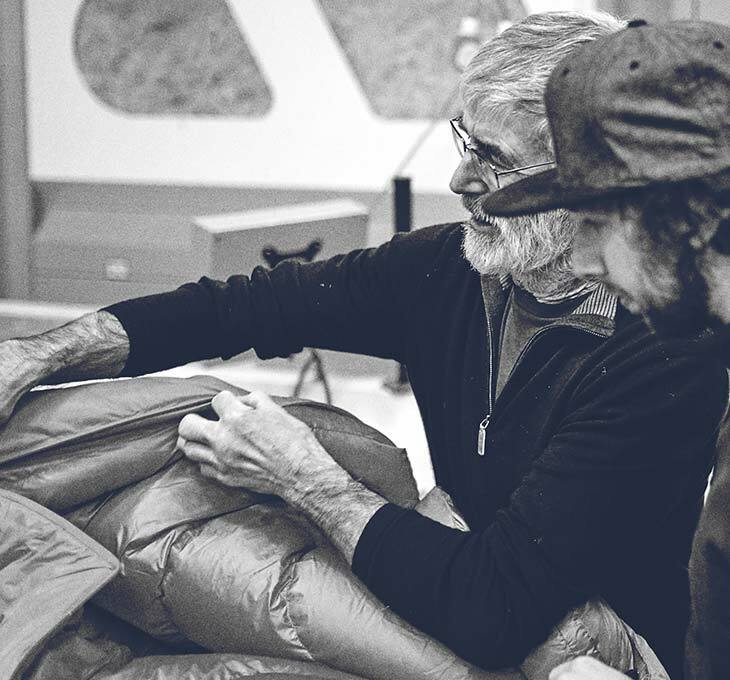 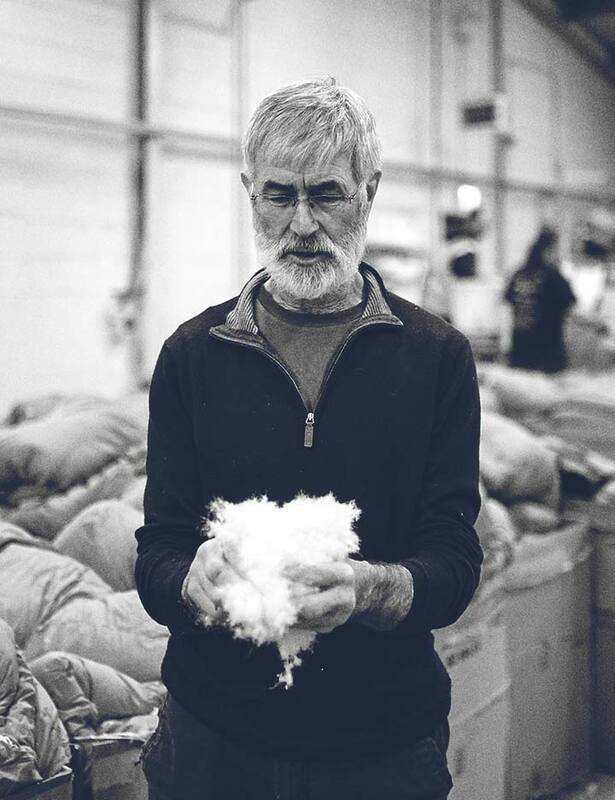 Perfect for cold alpine conditions, the Neutrino 800 is hand filled in Derbyshire and contains the highest quality 800FP ethically sourced European Goose Down. 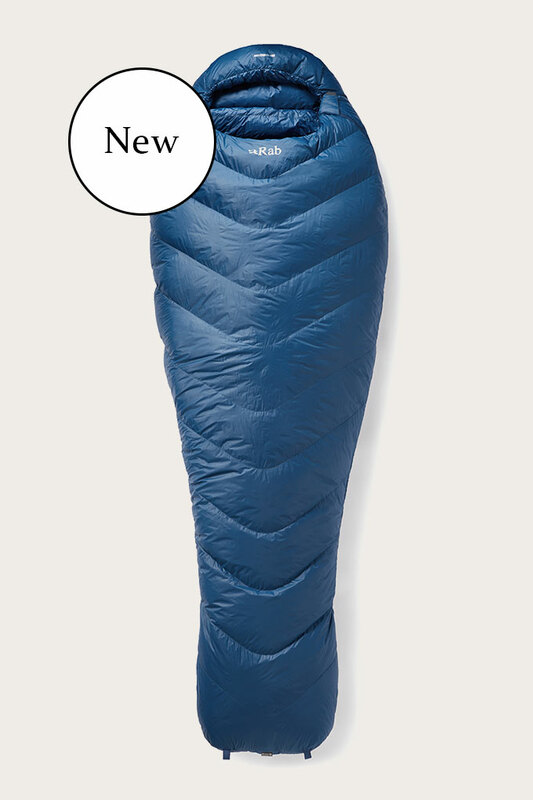 It is made using the lightweight, yet durable Pertex® Quantum - this allows the bag to have an impressively small pack size but quickly loft for instant warmth. 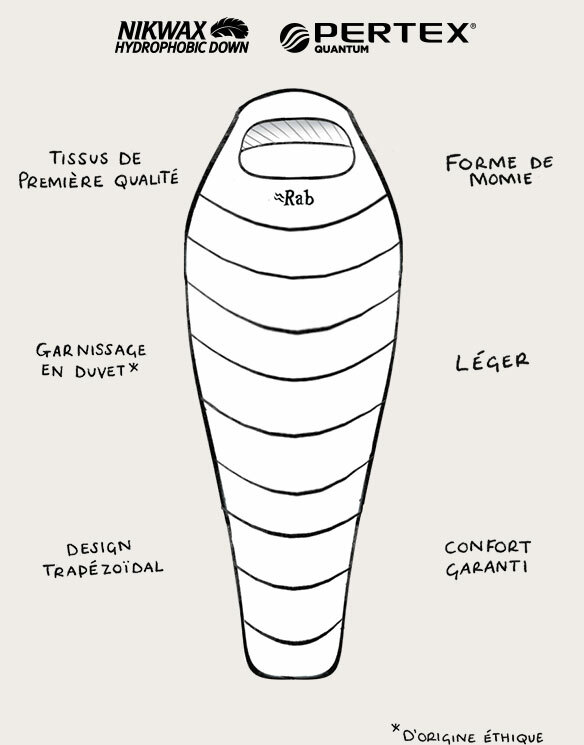 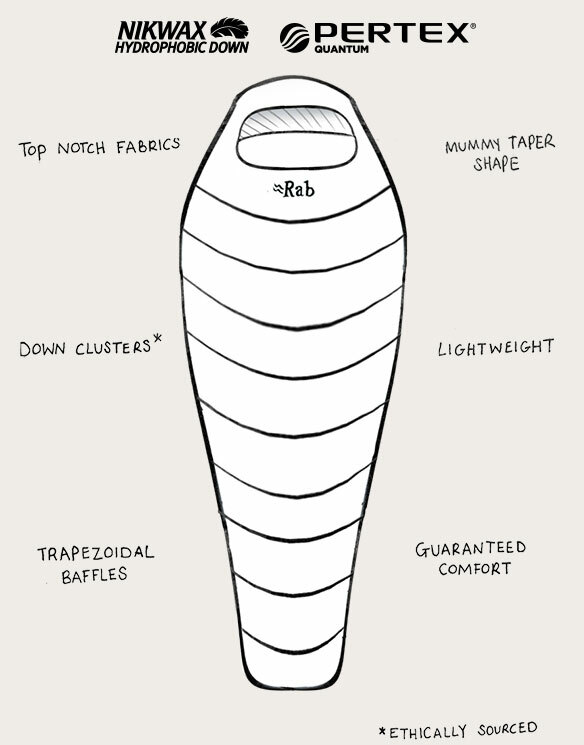 The ‘mummy taper’ shape and angled footbox keep overall weight low without compromising on warmth or comfort and still allow for movement. 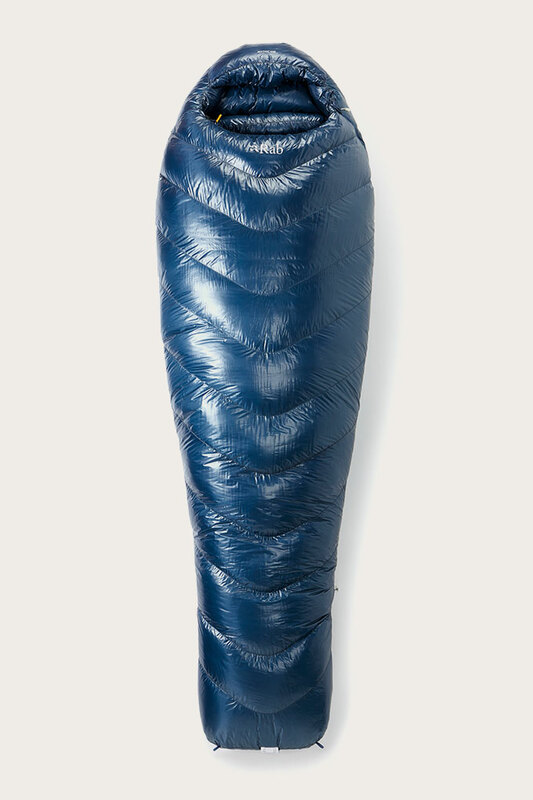 The Neutrino 800 has an ergonomically designed, close-fitting internal collar with a hood drawcord, as well as a 3/4 length YKK anti-snag zip with an insulating draft tube to keep out the cold. 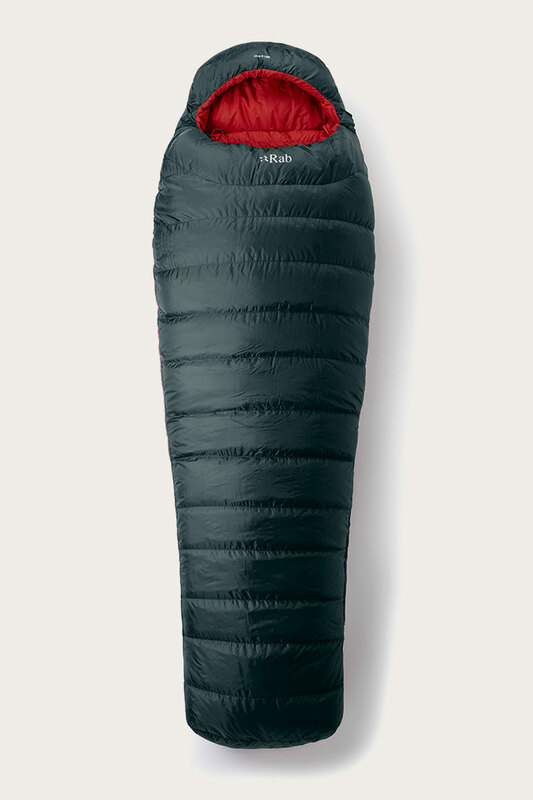 Other features include a handy internal stash pocket, dry bag compression stuff sack for transport and cotton sack for storage.